Annual multi trip travel insurance is good choice for frequent travelers. It saves them both time and money, as well as gives them piece of mind when travelling. 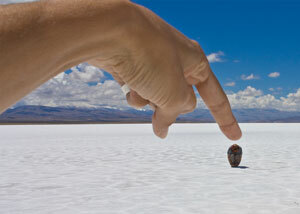 The big question is how often do you have to travel to make it better value than single trip travel insurance? Different insurance providers have different conditions in their policies so you must always read the small print carefully. Read below our review of the main differences between multi trip long term travel insurances and single trip short term travel insurances. If you normally travel once or twice a year, then single trip travel insurance is the best option for you. One of the most important features of such a single trip short term travel insurance is the number of days you will be covered, i.e. you will only be paying for the days you are travelling. Most insurance providers allow you to pick your exact number of days. Just be careful that you are covered for the whole duration of your trip, e.g. if leave one country and arrive the following day. Most insurance providers have a maximum number of days that single trip travel insurance will cover. The maximum days are usually between 60 to 180 days. There is special single trip long term travel insurance available if you are going on a longer trip. Most insurance companies offer range of single trip insurances so you can choose the one that suits you best. There is usually basic cheap holiday travel insurance and you can add extras on for a higher premium, e.g. winter sports insurance, cancellation cover, etc. This means that the cheap holiday travel insurance can be customized towards your needs and you only pay for the cover you need. Many insurance providers have an upper age limit on their cheap holiday travel insurance. The maximum age is usually around 65 or 70, but can be even lower, e.g. insurance companies that specialize in students. The insurance company then most likely offers special insurance for senior travelers. Bear in mind that medical emergency or loss of personal belongings can occur even on day trips. Make sure you are adequately covered no matter how short your trip is. Annual multi trip travel insurance is designed to suit those that travel on regular basis. Such long term travel insurance covers unlimited number of trips. The cover is continuous, once you have taken out an annual multi trip travel insurance all your travels are covered. You can get worldwide cover that covers all your travels wherever you are in the world, including domestic travel. Most insurance providers however also offer cover for more limited geographic areas, e.g. if you are only planning to travel within Europe. Most travel insurance providers insist that each trip fall within certain time limits. Most commonly, no trip should last longer than 31 days though most offer longer periods at extra cost (often up to 2 months). 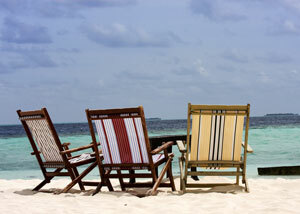 If you are going on a longer trip, you should take out special long term travel insurance. Annual multi trip travel insurance can save both time and money. If you travel on a regular basis, it can be pricey and time consuming, having to buy insurance every time you travel. Annual multi trip travel insurance is especially convenient for people that like to take advantage of last minute deals and may not have the time to organize insurance before they go. It is also great for people whose trips are unpredictable, like often is the case with those travelling on business but most insurance providers offer business cover to be added to their annual multi trip travel insurance policies. You can usually get some form of discount for couples and families, and most will allow those covered to travel separately, i.e. not group policy. Most annual multi travel insurance policies have an upper age limit though, usually between 65 or 74 year old. Make sure you check the excess level carefully as some annual multi trip travel insurance policies have hefty excess levels. You can usually customize the insurance cover somewhat so it fits your travel needs better. Many annual multi trip travel insurance already covers wide range of sports and activities, but usually for a limited amount of days. However, if your policy does not cover any activities then you might be better off by taking out special single trip travel insurance for such trips, i.e. like skiing or golfing trips. That is unless you are planning many trips like that over the year, but then you might have to take out separate year round cover for those specific activities and that can be pricey. Better Value Then A Single Trip Travel Insurance? It can vary a little bit after the travel insurance broker but in most cases, you generally have to travel only two or three times during the year to save money with annual multi trip travel insurance. There is however one notable exception. Most annual multi trip travel insurance policies have an upper age limit, usually between 65 or 74 year old, so many senior citizens will have no other option than buying single trip travel insurance for each trip.